The Economic Policy Institute points out that Boehner’s proposal would cut the non-defense discretionary (NDD) budget by about 18% in 2021. 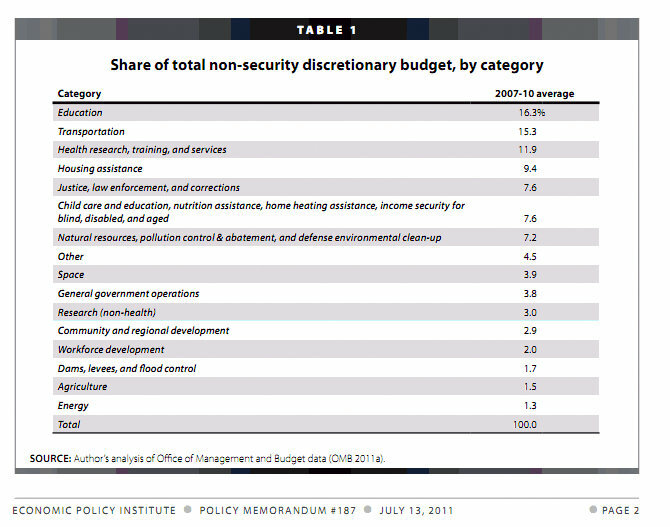 What is “Non-Defense Discretionary” spending? Here is a chart. If the Republicans get their way, the items on this chart, like Education, health research, law enforcement, flood control, and so on will be cut 18%. Is that what you want? I don’t.